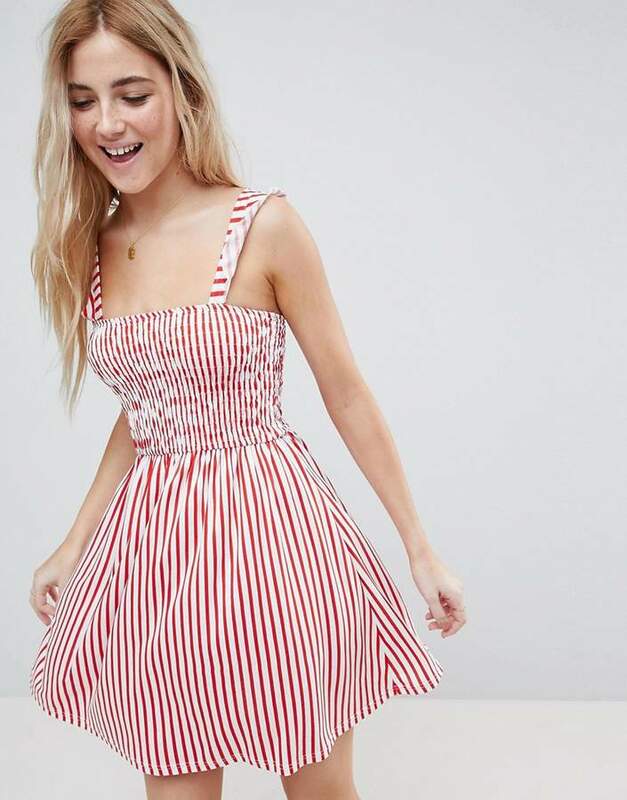 Dress by ASOS Collection, Summer's over when you say it is, Striped design, Somewhere between plain and printed, Square neck, Shirred-stretch top, Regular fit - true to size. Score a wardrobe win no matter the dress code with our ASOS Collection. From polished prom to the after party, our London-based design team scour the globe to nail your new-season fashion goals with need-right-now dresses, outerwear, shoes and denim in the coolest shapes and fits.